Belleville High’s Matt LaTorre headed to Caldwell University to play sprint football | Mike Lamberti, From Margate To Cleveland, And Back ! Matt LaTorre hadn’t thought about playing football on the collegiate level a few months ago. 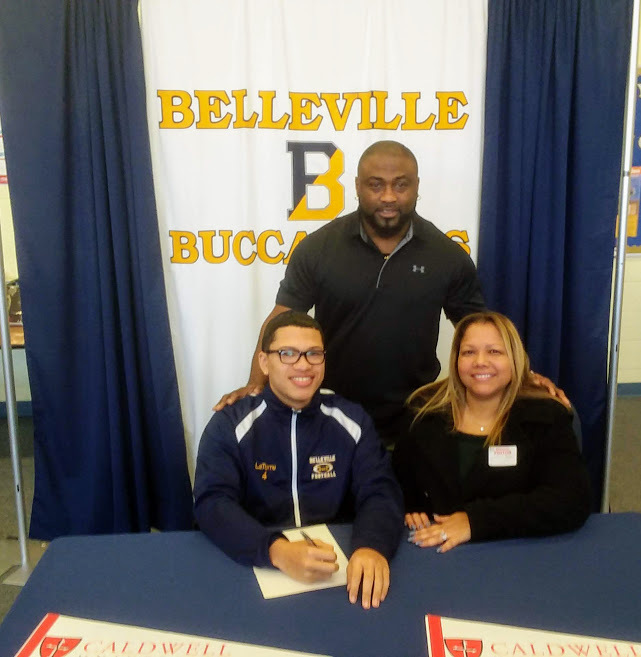 But the Belleville High senior learned a great deal about the game under new head coach Jermain Johnson last fall, and now, he’s ready to continue playing sprint football, at Caldwell University, beginning this autumn. LaTorre helped the Bucs to respectability in 2018, guiding the team to a 4-5 record as the starting quarterback. Caldwell University introduced sprint football two years ago to its list of athletic programs. The Cougars are coached by former Nutley High head coach Jim Kelly. Sprint football requires a player weigh 178 pounds, or less. The game is fast-paced and has a number of prestigious schools which participate, including the United States Military Academy, at West Point, the Naval Academy, the University of Pennsylvania and Cornell. Johnson feels the opportunity is perfect for LaTorre. LaTorre plans to major in Health Science and Physical Therapy, with the hope of being a physical therapist after a six-year program, which would result in a PhD. LaTorre could also see time on defense, perhaps at corner back, since he played some defense in high school.